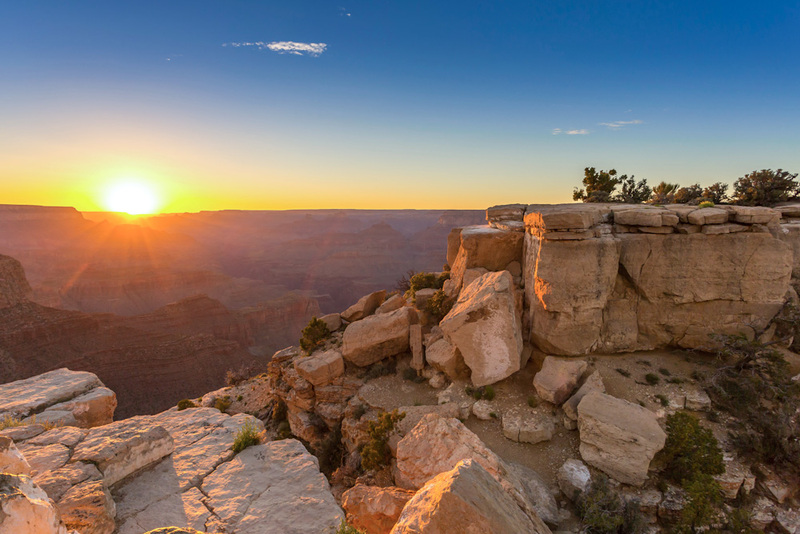 We recommend a helicopter ride over Arizona's iconic Grand Canyon. There are two continents’ worth of experiences to be had in the Americas, from the deserts of Bolivia to the wilds of Alaska and all the cities of the US in between. Here, the IT team share their memorable American experiences. Megan Arkinstall, deputy editor: I’d only ever skied in Australia until a couple of years ago when my husband and I snow-hopped around a few Canadian resorts. My favourite, by far, was Sun Peaks in BC; Not only was the skiing (and snowmobiling and snowshoeing) fantastic, the charming village was a winter wonderland of pastel-coloured, gable-roofed buildings topped with thick snow and cosy little nooks perfect for apres ski. Leigh-Ann Pow, editorial director: My first visit to New York was back before it was all gentrified; people told me not to carry a map and never look up because it would be obvious I was a tourist and I’d be mugged. Instead I did things like walking from Broadway to Battery Park painfully early on a Sunday morning and had the streets all to myself (including from muggers). I loved the gritty, urban edge of it all, which isn’t there so much now. Steve Madgwick, digital editor: Salar de Uyuni in the Bolivian Altiplano is the LSD of landscapes. I could barely comprehend its incongruous elements face-to-face. Its infinite, brighter-than-bright white surface is occasionally disrupted by cactus-peppered islands and cartoon volcanoes whose pastels seem pinched from an eccentric artist’s palette. Flocks of flamingos and a surreal locomotive graveyard add to the dreamscape. Lara Picone, editor of Australian Traveller: After a taco crawl in Mexico City, my husband and I found ourselves in a locals’ bar where we happened upon a merry band of septuagenarians. Soon we were drinking pulque (fermented sap of the agave), slow dancing, and being regaled with stories of Mexican history interpreted through my husband’s 10-year-old Spanish vocabulary. It was so much fun to share an evening with people you would never normally get to meet. Quentin Long, managing director: I knew Alaska’s wilderness was colossal, but nothing prepares you for it. I saw a moose swim three kilometres across a channel to land 300 metres from a brown bear. Just 400 metres up the shoreline were two more brown bears. Meanwhile, a pod of humpbacks were feeding off the point. That’s wild-erness. Daniel Down, chief sub editor: you have to witness the awesome scale of the Yosemite National Park’s granite massifs if you’re in California. From the dense forests of the valley floors, the sheer faces of pale rock provide a breathtaking backdrop as waterfalls cascade down them. We went on a long loop walk, which took us to the top of one of the falls, keeping an eye out for black bears along the way. Rebecca Xu, designer: I had never experienced such cold weather before (it was almost 20 degrees below zero), so to be in that environment was sensational and exciting in itself. Together with the charming, ornate streets, endearing little shops and, of course, the falling snow, it felt delightfully far from my usual reality. 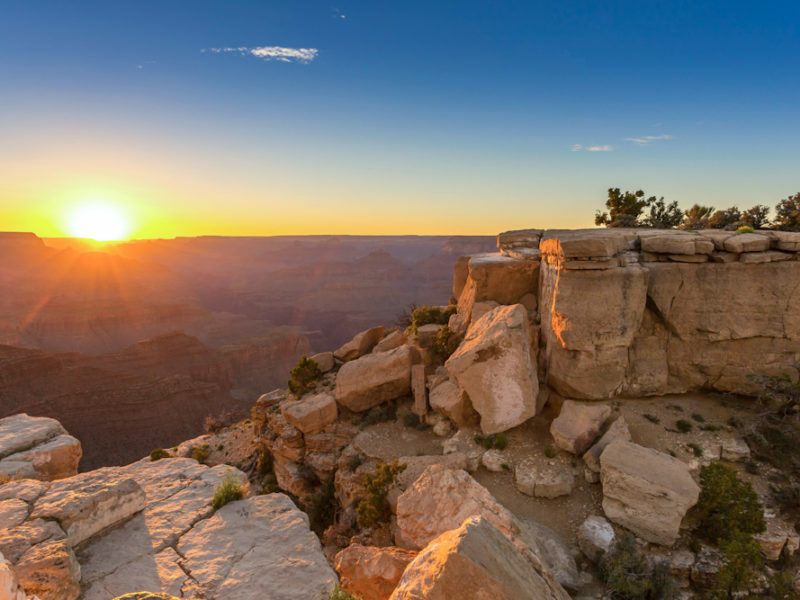 Alissa Jenkins: It’s one of those iconic landmarks that you learn about early in life, but seeing the Grand Canyon in person was truly a sight to behold; the layers of rock, the layers of history, its vast length and its mesmerisingly steep walls. Do yourself a favour and splurge on a helicopter tour – it can be difficult to appreciate the magnitude of this natural wonder from the ground. Plus, there are less crowds.